Diachus auratus (?) 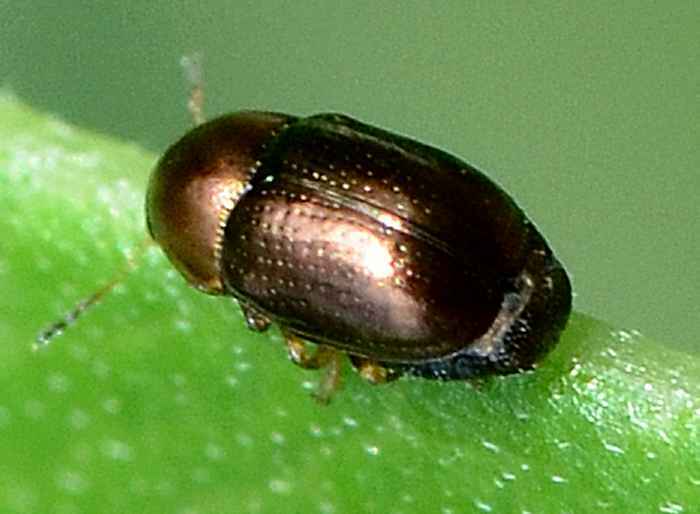 (Bronze Leaf Beetle). Size: approx. 2 mm. Photo: 04/22/12, 1 pm. The genus Diachus includes ten species in North America but has not been revised since LeConte studied it in 1880. This specimen possibly is a Bronze Leaf Beetle (Diachus auratus).